The “voting felon” in this case is Robert Myer, who used to be the mayor of New Roads before he was forced out of office for having been convicted of a felony malfeasance charge (Myer pled no contest to the charge and was placed on probation). Myer pleaded no contest to charges related to using the city’s credit card illegally for personal purchases following a series of WBRZ Investigative Unit reports. In the eyes of the court, a no contest plea is similar to a guilty plea but protects the criminal from civil liability. Myer voted because his name was not included on a list of people who are banned from voting. It’s a perplexing issue – one that election regulators in Pointe Coupee Parish where he voted blame on a communication breakdown from state authorities. The Secretary of State said it receives a monthly list from the Department of Corrections of felons who are ineligible to vote. The Secretary of State’s Office said Friday, it believes Myer – under the supervision of the state prisons department as being on probation – should have been on that list. “If you’re on felony probation or if you are a convicted felon…you are not allowed to vote,” Sheriff Bud Torres told WBRZ. He said he has asked the area district attorney to investigate. Calls for such reached higher levels of government when the Secretary of State’s Office frustratingly pushed the governor’s office to figure out how such a communication breakdown happened. Prisons officials said Myer completed his probation early – citing a rule that allows for good time probation and Myer completed his in July. Although, sentencing documents signed by a judge last year ordered no change in Myer’s status until a hearing exactly a year from him being sentenced. Local authorities and the state elections chief were concerned, though, because of Myer’s connections. His brother is a deputy secretary at the Department of Corrections. Ardoin referenced the concern in his letter to the governor. That would be Malcolm Myer, who is the Deputy Secretary of Corrections – having been appointed to that position in 2016 by Gov. John Bel Edwards. Myer’s been around for a long time – he at one point was the state director for John Breaux when the latter was a U.S. Senator, and he’s had jobs in the state bureaucracy for five different governors. And now he’s a big shot in D.O.C. who one presumes could use his influence to get his brother back on the voting rolls no matter what the state law says. So you can decide for yourself whether this is basic incompetence or flagrant corruption. There was some question here about how illegal this was, because based on a new law passed at this year’s legislative session Myer’s voting could conceivably have been legal. If you’ll recall, there was a bill filed by Rep. Pat Smith which would have let felons back on to the voter rolls while they’re on probation. Smith’s bill passed – it shouldn’t – and it might have allowed Myer to vote except for the fact that it had a five-year waiting period for restoration of voting rights, and in this case Myer is far less than five years after going on probation. He pled no contest to that felony charge back in January of this year. It is illegal for convicted felons to vote…even if the Governor’s political appointees try and allow it. 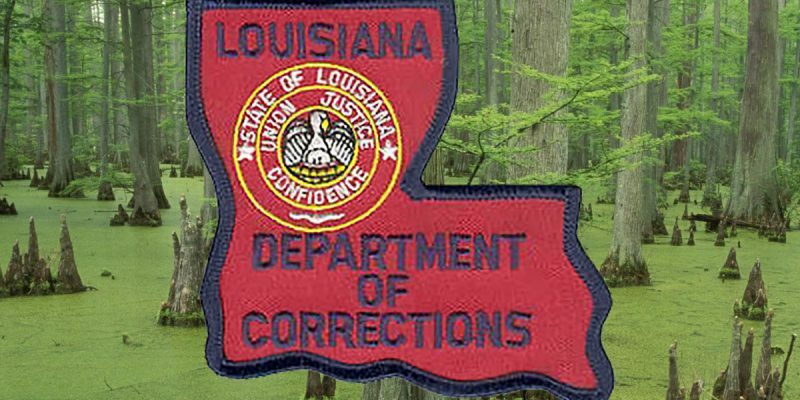 As reported by WBRZ, under the leadership of Secretary of State Kyle Ardoin, prior to every election, he receives a list from the Department of Corrections of criminals who are not eligible to vote. Robert Myer’s name was not on that list. Governor Edwards’ political appointee Malcolm Myer, Assistant Secretary at the Department of Corrections, and the brother of Robert Myer, did not send the felon’s name to Secretary Ardoin. Thankfully Attorney General Landry continues to fight the empty-out-our-jails policy coming from this Administration. Felons voting is just the latest disrespect being shown victims of crime. Our election process is sacred, thank you Attorney General Landry and Secretary of State Ardoin for fighting for accountability. This really ought to be a major story, but so far neither the Baton Rouge Advocate nor the New Orleans Times-Picayune has taken any interest. Baton Rouge’s other big news station WAFB actually had a story about it but pulled that piece down on Friday, we’re told due to pushback from the governor’s office. Which should tell you something about the press coverage of this administration and how that ties into its approval rating with the people of Louisiana. Let’s hope this week this story finally piques the curiosity of Louisiana’s major media and there’s an effort to see whether Myer isn’t the only felon with political connections who got to illegally vote in Louisiana this fall.